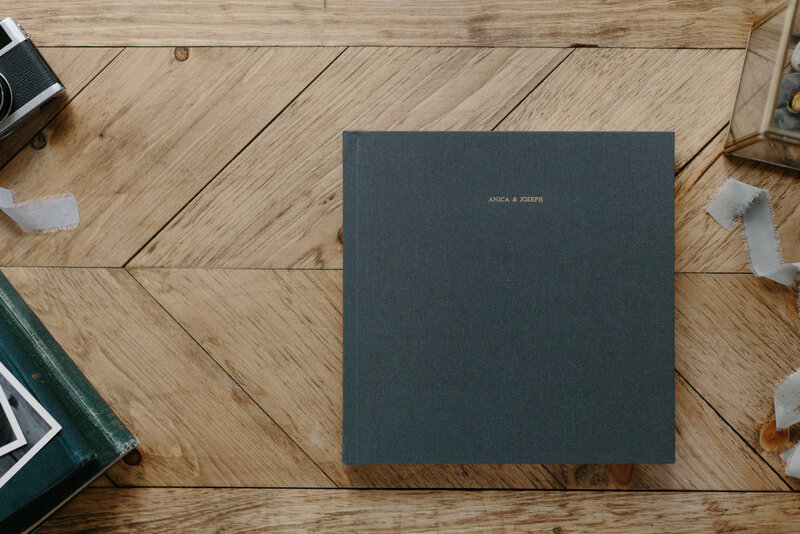 It is always such a pleasure to design albums for couples after their wedding day. The experience gives them (and me!) an opportunity to relive the memories and put the favourites into print. Anica and Joe's wedding was so beautiful it was hard to get it down to a handful of favourites. But it is all a part of the process. The best part of the layflat album design is the ability to utilize layouts in threes. It allows for such a unique addition to the story telling aspect of the album. I love having the opportunity to work on layflat albums, as they have a flow to them that allows a creativity beyond that of a soft-page book. Here is a look at the layout of their album to tell the story of their beautiful and intimate wedding day.